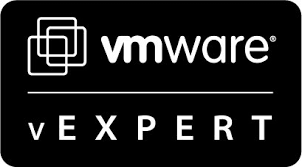 In part 4 of this series we configured two ESXi hosts to host our lab. 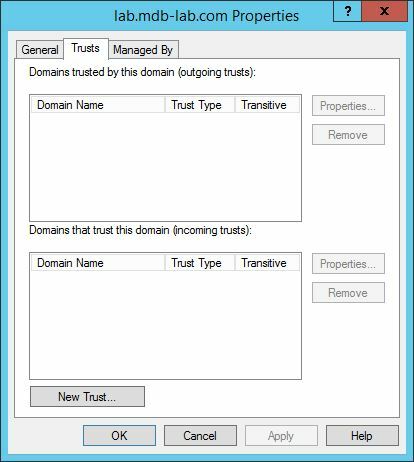 In this part we will setup a Windows Server 2012 R2 Core virtual machine and configure it as a domain controller in a separate root domain. 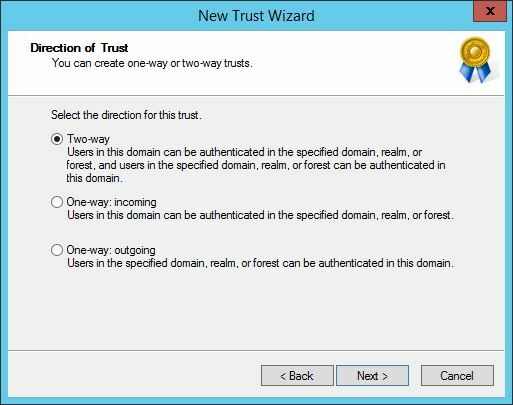 We will then configure a forest trust to our production domain so that our users can authenticate. When designing the lab security was highlighted as a concern. Due to the nature of a lab, it was important to ensure that the environment was segregated from the main production network at both a physical and logical level. 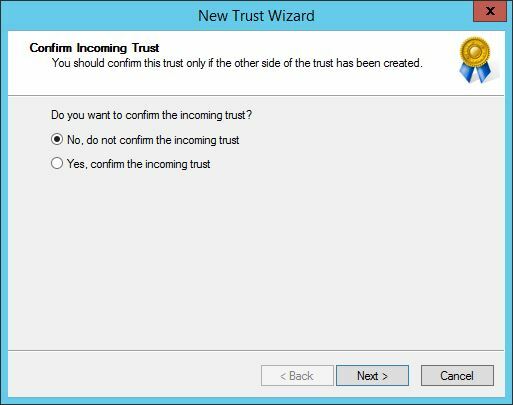 In the event someone mis-configures something and creates a weakness in security, then this can be confined to the lab environment. 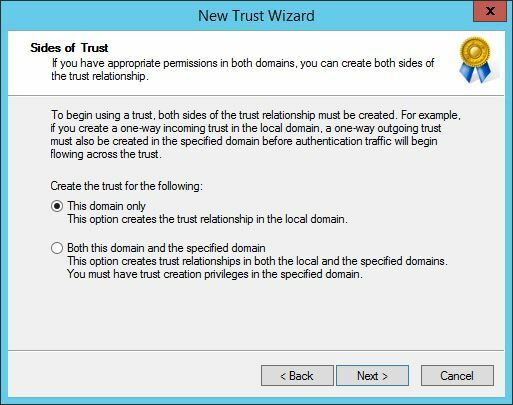 When considering the security boundary for user authentication, two options were highlighted. 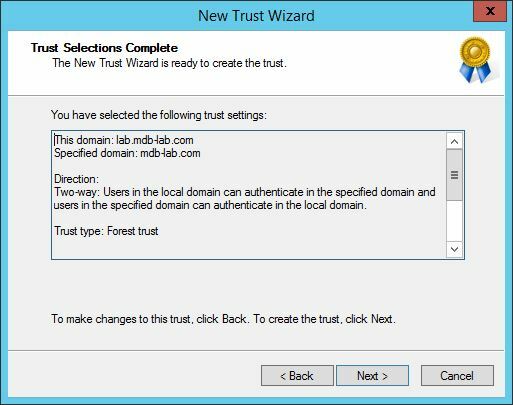 The first was to utilise the existing production domain for all services, but implement a read-only domain controller to enhance security. 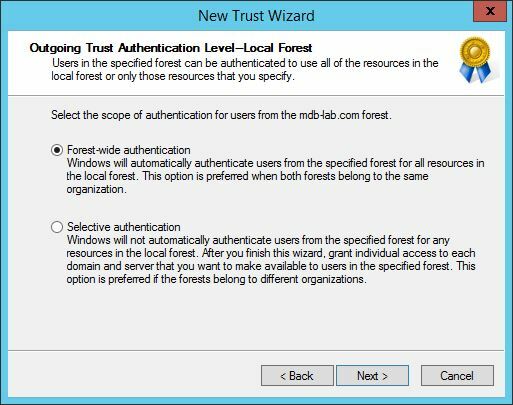 The second option was to create a standalone domain dedicated to hosting lab resources, and use a forest trust between this and the production domain. 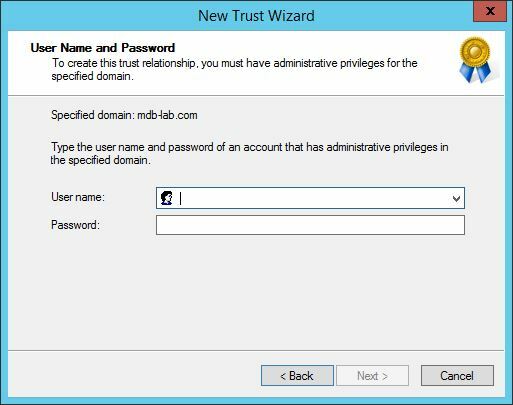 This would enable users from the production domain to authenticate in the lab. We decided to implement the second option to avoid “polluting” the production domain with necessary computer and user objects. 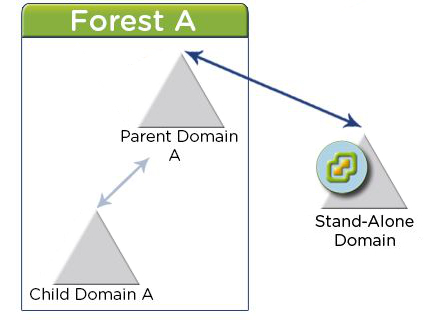 In this scenario, Forest A represents our production forest where all our user accounts are located. 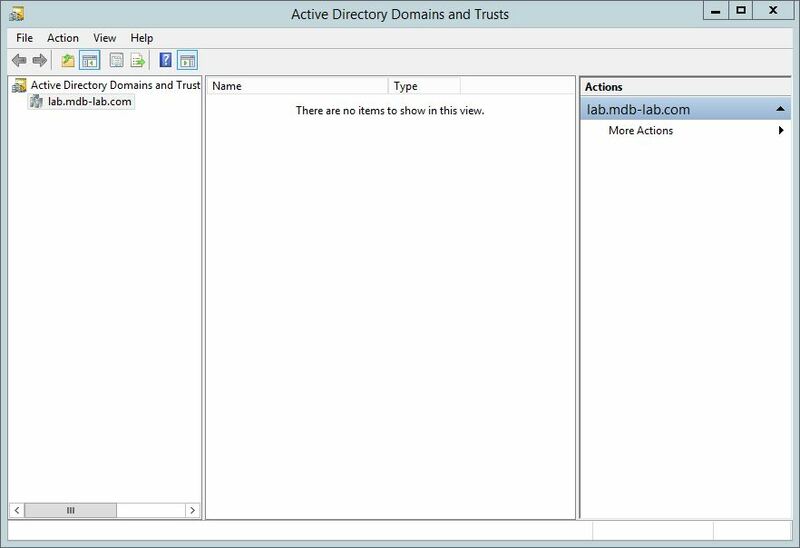 This is mdb-lab.com, and the child domain is uk.mdb-lab.com. 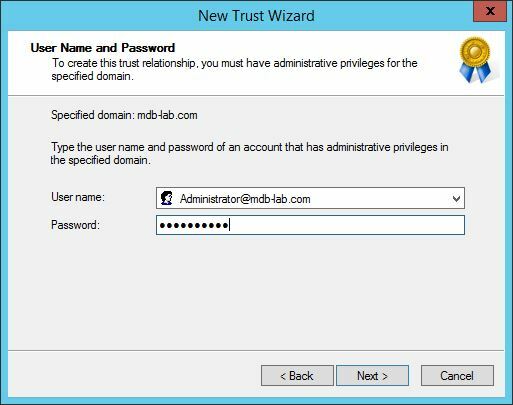 The standalone domain is to be implemented in the lab environment and shall be named lab.mdb-lab.com. 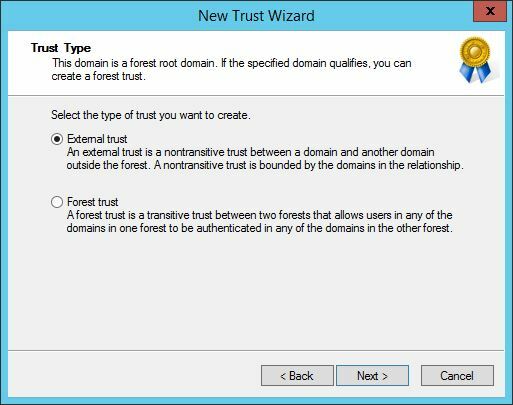 Ideally the trust between the forest root domain and the lab domain would be one-way. 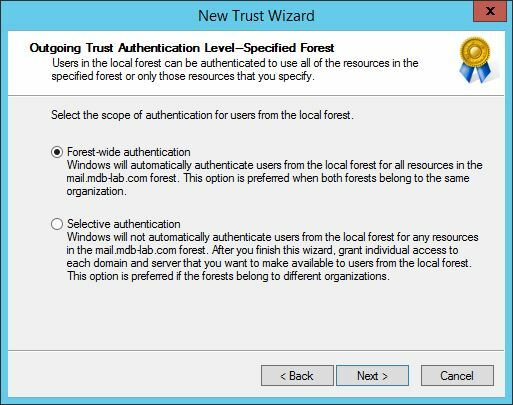 However after consulting VMware KB article 2064250 it was discovered that this presents a number of issues, the biggest being unable to search for accounts in the forest. 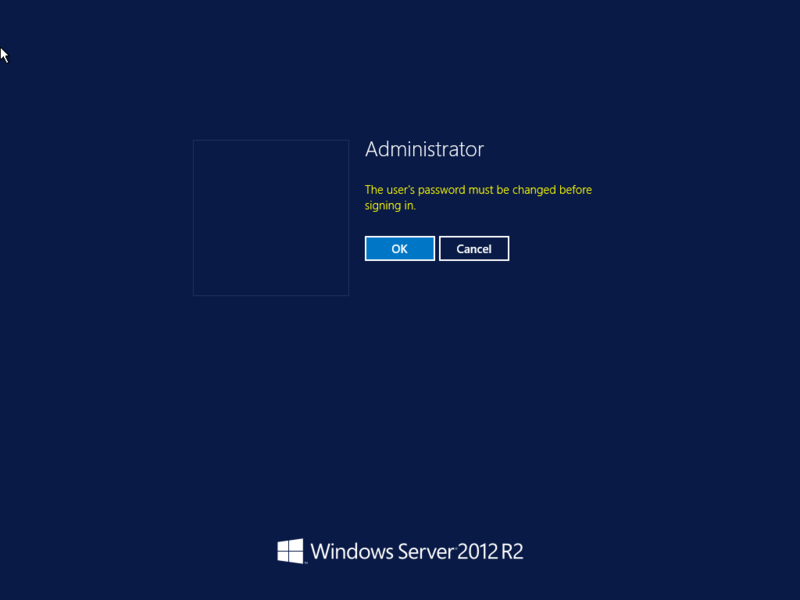 This means we would be unable to grant permissions on the vCenter Server to users and groups in the production domain. Press Y and then enter. Accept the licence terms and select the drive you wish to install Windows on. 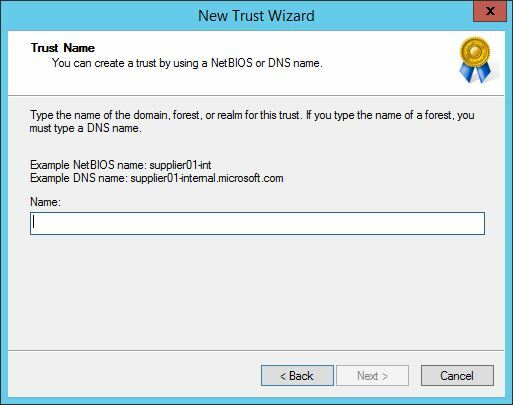 setup64.exe /s /v "/qn REBOOT=R"
Ignore the error that appears, it is because we haven’t installed the DNS Server role yet. 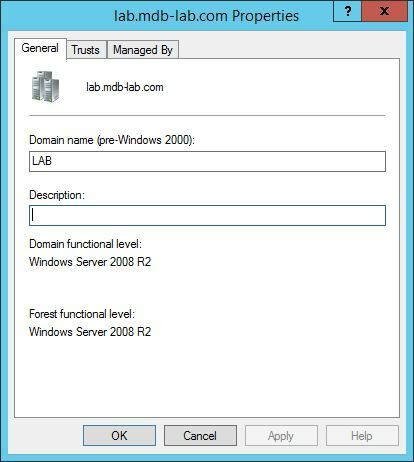 dcpromo.exe /unattend /NewDomain:forest /ReplicaOrNewDomain:Domain /NewDomainDNSName:lab.mdb-lab.com /DomainLevel:4 /ForestLevel:4 /SafeModeAdminPassword:"VMware1!" 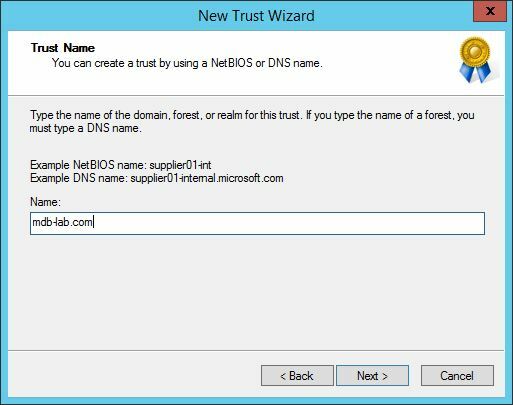 In the above example, mdb-lab.com is the root of the production forest, and 172.17.50.1 and 172.17.50.2 are the two root DNS servers. 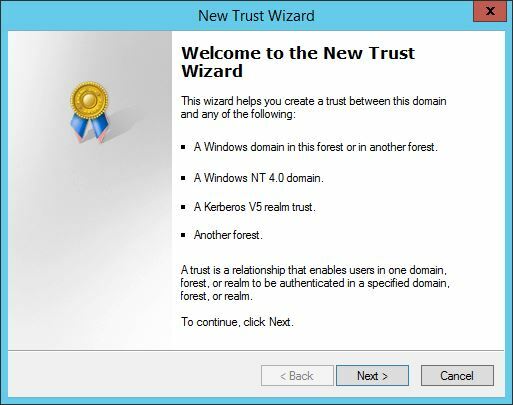 Unfortunately neither netdom or PowerShell are capable of creating forest trusts, despite the former claiming it can. So we shall have to do use the GUI. 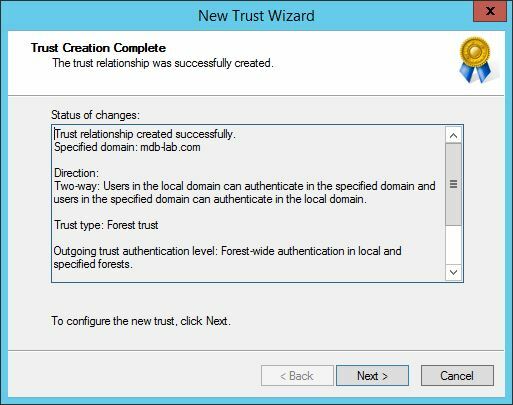 The forest trust is now created. 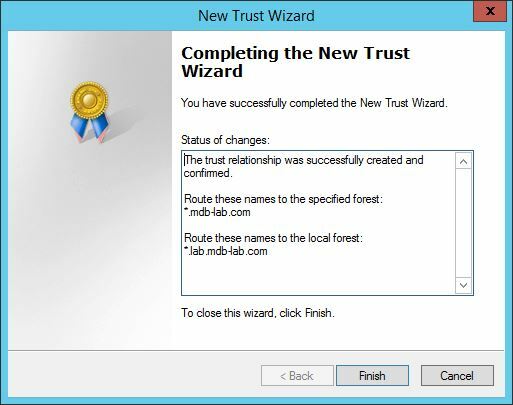 In this part we built, installed and configured a Windows Server 2012 R2 Domain Controller, installed DNS and created a two-way forest trust to the production domain. 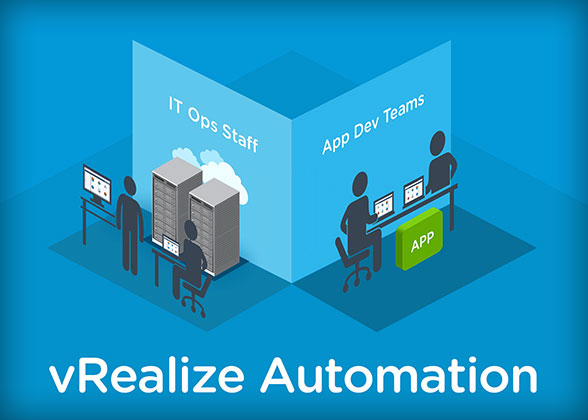 In part 6, we install and configure the vCenter Server Appliance for the lab.